Francisco. I loved working with Michael Chapman, a great cinematographer. culture that was happening, the sort of 'therapy culture'." Of the four films based on Jack Finney's novel The Body Snatchers, I have to go with Phil Kaufman's Invasion of the Body Snatchers as a favourite for quite personal reasons (and one scene in particular). I really rated Don Siegel's 1956 original. Kevin McCarthy is wonderful as the simple GP who starts to understand that something sinister and murderous has infected his perfect, little town of Santa Mira. 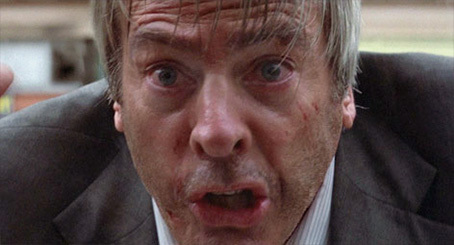 After Kaufman's remake, Abel Ferrara made The Body Snatchers in 1993 and in 2007, Oliver Hirschbiegel directed an all-star version titled Invasion that pitted Nicole Kidman and Daniel Craig against an alien menace. All have their strengths and some, more than others, have their... uh... opposites. Meg Tilly's creepy performance stood tall in Ferrara's version but it's Gabrielle Anwar's brave turn as Marti that holds the whole piece together. The filmmakers 'borrowed' some sound effects and the open mouthed scream from Kaufman's version but it does have its creepy moments. A few additions and changes to the tale made Hirschbiegel's effort interesting if not fundamentally successful. He was taken off the film and replaced by the team behind V For Vendetta (the Wachowski siblings and director James McTeigue) because his cut didn't meet with his superiors' approval. And despite the reshooting and the A List casting coup (Craig found out he was the next Bond while shooting this version), sparks were not flying off the pairing of Kidman and her leading man. The idea of pods growing replacement duplicate human beings was exchanged for an alien virus that was spat at victims who then succumbed if they fell asleep. Somehow this was significantly less dramatic than the pod infestation of the three movies that preceded it. Why make a 'pod' movie without the pods? The 2007 remake has the most ridiculed dénouement of the four (a virus is made and distributed in what seemed like hours turning everyone back to normal – ho hum) but running a close second is the studio tacked on prologue and epilogue of Siegel's original, suggesting we 'type H' humans would be victorious in the fight against the invaders. A 1956 director's cut is not a hard thing to imagine – two snips and there you have it. The 2007 Invasion's Kidman is, as ever, impressive. But when it comes to this particular story, one director nailed it and made the film a very personal experience for me – curiously a few years after I originally saw it. Vying with the great Terry Gilliam at the top spot (American directors whose entire oeuvre has consistently surprised and entertained me, each and every time at bat) is writer/director Phil Kaufman. He is high on that list of my most favoured US filmmakers because of the extraordinary variety and quality of his own movies over the years. It can't but help that my first movie job was on his rather wonderful The Right Stuff. OK, I'm biased. But his film Invasion of the Body Snatchers, now regarded as a science fiction classic made before the science-fact Mercury Astronaut story via Tom Wolfe's bestseller, was always going to be loved by someone with my taste and proclivities. As you may know, remakes on this site are frowned upon, scowled at and palpably ostracised, with our noses high, pegs attached waving the stench away as we move off to pastures original. But this movie is an exception for a number of reasons. Firstly, it's a superb film in its own right. Secondly, it can be seen as a sequel rather than a remake, furthering the ideas and narrative of the original 1956 movie and thirdly it is one of the very few science fiction movies that I genuinely love – there is a scene near the end that is almost transcendental (to me). I'll understand if you don't go all spiritual on the sofa after seeing it but know that I did. There's not a wrong move in it and it's also set in my favourite city where my relationship with the movie took a fascinating turn. Anyone out there still remember 'est'? In the 70s and early 80s, a curious seminar based experience broke into popular culture created by an ex-used car salesman, Werner Erhard, name-checked as 'the first spore' in Pauline Kael's famous rave for this movie. The 'est' training was well-known for (a) putting its participants through two gruelling weekends of self-examination, (b) forcing on them a lack of toilet breaks and (c) having a distinctly negative aura around its cultish and hyper-enthusiastic acolytes. It was essentially a personal enlightenment course for the American middle class. It was also great fun, like absurdly personal participatory theatre. At the end (if you're lucky) you 'get it'! And the problems in your life are taken care of by the process of life itself. Yeah, I know. It's the sort of thing that's very easy to be cynical about. Dice Man author Luke Rhinehart wrote a book about the training (The Book Of Est). It reads like a diary entry for me. I did the training in 1982, as my host in San Francisco was none other than the guy who recruited people for the damn thing. It cost $400. In 1982 that was worth about $1,000 today and almost all the money I had to see me through months of travelling around the US. Crazy, right? One of the boxes to be filled in on the form to be completed before the training asked you to be extremely specific about what you wanted to get out of the experience, the more specific the better. So I put down "A job on a movie." It was all I ever wanted. And guess what happened a week after the training? The reason I bring it up is to identify the normal 'before' and bizarre 'after' transformation states adhered to those who had completed the training. Let's just say, there was a 'pod' aspect to the 'after' state in some people and it was unnerving. Jack Finney's novel, The Body Snatchers, served as the inspiration for Don Siegel's superb original 1956 version in which, of all people, Sam Peckinpah plays a meter reader. It was seen at the time as a critical response to the creeping menace of communism or at the other end of the scale, McCarthyism (the routing of suspected communist sympathisers in the entertainment industry – with little or no evidence – that led to a career-ending blacklisting). It's also of interest that the only character not absorbed by the pods at the end of what may be a future director's cut was actually called McCarthy (Kevin, the lead who has a delicious and just pitch-perfect cameo in Kaufman's movie). I recommend both movie and book. The studio added the words 'Invasion of' to the title to distance their movie from a film with a similar name made a decade earlier, 1946's The Body Snatcher directed by Val Lewton. Invasion of the Body Snatchers is a great title because it's almost camp and certainly stacks up well with all the other 50s science fiction movies proliferating at the time. The advantage of this particular story is its granting of a seemingly timeless and endless level of metaphorical interpretation. Seeing the original and reading the book will not take anything away from the experience of seeing Kaufman's movie. I recommend both. The narrative of the remake is straightforward. Matthew Bennell (Donald Sutherland) is a public health inspector who is very much in love with his colleague but keeps his feelings buried. Elizabeth Driscoll (Brooke Adams, so extraordinary in Terrence Malick's Days Of Heaven) is the source of his love but she's married to a man who seems to have changed overnight. The clue's in the title, guys. Lots of stories start circulating about people not being who they really are anymore. This is, to say the least, unsettling. Matthew's friends, the Bellicecs – pronounced 'Bela-check' (genre stalwarts, Jeff Goldblum and Nancy Cartwright) own a mud bath establishment where they find what they think (and later hope) is a cadaver. It's not... It's Jack Bellicec's pod now grown to human size. 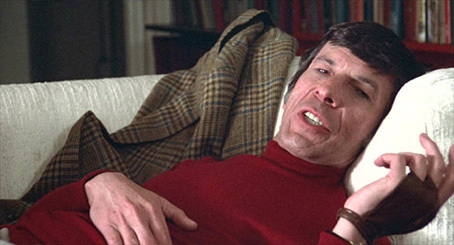 Leonard Nimoy (who really should have shed the pointed ears far more often because he's a very interesting actor) is the social group's successful friend, a psychiatrist/self help book author with a decidedly odd leather hand-covering purely there to creep us out a little more. He's David Kibner, the rational mind whom the group consults hoping to make sense of all the strange events starting to engulf them. It's having characters actually experience the reality of the alien infestation that sets up the film as a race against a fully-fledged invasion with no room for closed minds if you want to stay human. It's those who announce "This can't be happening," who are usually the first to go. The build up is brilliantly handled as common sense gives way to a reality that can scarcely be believed. I was struck by that fleeting disbelief seeing the newspaper headlines this morning or one paper's in particular. It showed an X-ray of a fully formed foetus with a bullet in its brain. Snipers in Syria select a specific daily target (pregnant bellies, groins, left chest, right chest) and whoever gets the most hits wins. A doctor noticed that all the wounds coming in on a certain day were all of a similar kind. I know human beings are capable of terrible, terrible things but this even brought me up short. Let's just say the tension ratchets up a few notches when the pods burst revealing simulacra of those in the group while our heroes sleep. It is a truly unnerving experience watching an alien double grow before your eyes. Wringing the suspense for maximum impact is a seriously idiosyncratic sound design (by Ben Burtt, he of Star Wars fame). It is a testament to his work or my brain that I can still clearly remember the sound of the pods growing and of course the augmented pig squeals that issued from pod people who had identified 'Type-H' folks whom they judged, needed a damn good kip. The very idea of us dying in our sleep and being replaced by something inhuman lies very deep in my head as an existential fear. Isn't it true that not a single atom of who we were fifteen years ago exists anymore, such is the ebb and flow of cellular regeneration? This puts death in perspective, doesn't it? The movie is peppered with exquisite touches. Sutherland and Adams are good friends but the deeper feeling Sutherland has for his beautiful co-worker manages to peek out but in a distinctly non-threatening way. Once her husband 'changes' Adams seeks solace from Sutherland while he's preparing a stir-fry. As they both start to eat he asks what time her husband is getting home. On getting the answer "He said not to wait up," Sutherland asks "Want some more wine?" and gives her a very playful but fleeting acknowledgement of his feelings. It's just a four or five frame batting of the eyelids look but it's a deft bit of screen acting. Reduced to an ashen fluff after the pods fully form, what once were human beings are thrown out like any normal rubbish and this fluff appears throughout the film in the backs of garbage trucks. It's subtle but rewarding to spot as the camera pans over them all throughout the movie. This is an alien invasion movie where the first victims had to be the rubbish removal people. How specific is this invasion? At the dry cleaners, Sutherland gets his first independent proof that something very strange is happening and just after the line "That not my wife!" a jacket puffs up, giving you the impression of a mannequin, a faux-human. Later, Adams stands before Sutherland after confirming her worst fears about her husband. Oddly, she strikes out at her best friend who tries to comfort her and then gives in to his embrace. I saw this as a direct relative to the scene in Nic Roeg's superb Eureka when Rutger Hauer gets some bad news and trying to calm down he turns and slaps Theresa Russell hard and then in an instant grabs her in a bear hug. It's that fissure in your psyche where the violence is that profound emotion blasting out and then follows the recovery and the instinctive need for physical comfort. It just strikes me (for once, no pun intended) as pertinently truthful. Finally, there's the sight of a young, thin, pre-muscled Jeff Goldblum racing ungainly through the San Francisco night, an image for some reason that has stayed with me and now that image has been upgraded to high definition. The score by Denny Zeitlin has been singled out as the one aspect of the film that shows its age (let us speak not of the flared trousers). I disagree. There is some jazz-like underscoring particularly the cues identified as the 'Love Theme' and 'Infiltration' on the album. But as a horror score it has one thing going for it and one thing going against it. Despite its innovative mix with bespoke sound effects and electronic layering which brings to mind John Corigliano's brilliant Altered States score, it is distinctly under-mixed in the movie until we literally cut to the chase in the last forty minutes. While playing the album reveals more subtlety and horror, seeing the movie, the score never really asserts itself early on. I'm not suggesting for a moment that it's a bad mix, far from it. The final mix is a thing of subtle beauty. Creative decisions are made and often a certain flavour of mix is in vogue so this is by no means a criticism, just an observation. That said, the talented Zeitlin worked so hard on the score putting in twenty-hour days over more than four weeks, that he vowed never to score another feature. This is a loss to film composition. It's also the result of what happens when you're scoring a friend's movie – you try that bit harder and work yourself into the ground. I think we've all been there. Such (if you'll pardon me) is the power of love. 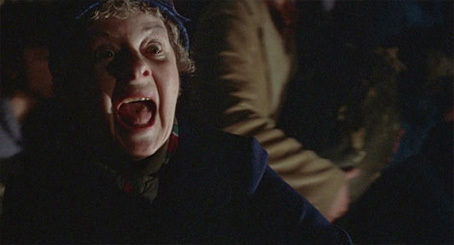 Kaufman's playful intelligence is in evidence throughout the movie and it's very rewarding. Shadows of people walking by visually cue you to think of doubles and after Sutherland has been effectively stonewalled by the pod people authorities, you start to see the city and its inhabitants in a very different light courtesy of Michael Chapman's restless handheld camerawork. It is extraordinary to me how your perceptions can be altered by the suggestion of the fantastic, the unbelievable. From the moment our heroes discover the bodies growing in Sutherland's garden, the movie drops down into third gear and screams forward as do the pod multitudes giving chase. What was unnerving and discomforting, taking a pause for ghastly, suddenly becomes a race against fatigue and the thousands out to get you. Psychologically, it's a terrifying final forty minutes. Nestled within those minutes is a scene that moves me greatly. Hero and heroine are in a dilly of a pickle. But Sutherland hears something. As we strain to hear it too, the mix rewards us and the bizarre sound of bagpipes starts to waft in from not so far away. It's one shot of Sutherland, a mid shot of him jogging towards the ship and the shot pulling back to an extreme wide as the bass notes kick in and Amazing Grace is given permission to soar. Soar it does until the truth is revealed. I am keeping a collection of moments in movies that feature this deeply moving song (the bagpipe version seems to trump all the others) but here, over that one shot of hope, it works its magic a thousand fold. That moment transported me when I first saw it... I wholeheartedly hope it does the same for you. I cannot adequately explain what a wonderful pleasure it is to see this beloved movie in 1080p. The brown earthy hues of late 70s San Francisco are richly rendered in this 1.85:1 presented Blu-ray but what's more important is that a great deal of this film was shot at night and now at last, the detail, the detail! I can see the ships now! Yes, there is evidence of some film grain in the darker areas and the entire climactic chase is based in shadow as Sutherland and Adams run for their lives. But the blacks are rendered superbly and Chapman's cinematography is lifted out of the fug of VHS and DVD standard resolution. God, 35mm is a gift that keeps giving, isn't it? There is remarkably little negative or print dust or imperfections visible. There are two sound options; the 2.0 Stereo plays back a little sharper, more high frequency-minded than the alternative 5.1 Surround DTS-HD Master Audio counterpart. Both mixes are really very pleasing across all frequencies except for when you really want to have your bones rattled by the sub-woofer which rarely, if ever, happens. I guess the original mix wasn't geared up for a true discrete 5.1 track though there are several instances of great front and rear separation. 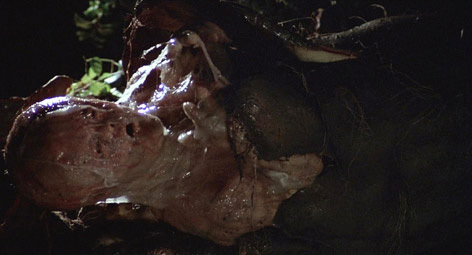 The emergence of the four pod people in Sutherland's back garden and subsequent sound effects are a great example of tweaking the original stereo into a surround effect. There are English subtitles for the deaf and hard of hearing. Obviously Invasion of the Body Snatchers was a labour of love for all concerned and Kaufman's revealing commentary is entertaining, loving and almost wistful. Ported from the 1998 Region 1 DVD, it's a terrific accompaniment for fans of the film. 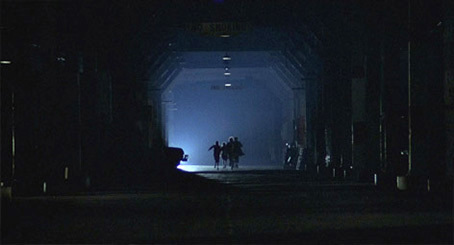 Am pretty sure I would have run the commentary track back fifteen years ago but I found I was surprised (again) to hear that with the exception of a giant warehouse seen at the climax, every location was a real place in San Francisco. This, of course, grounds the movie in a reality that set based work has to strive hard to attain. Kaufman (like Anette Insdorf, the writer showcasing Kaufman's oeuvre) is not averse to adding layer upon layer of meaning within his mise-en-scene even going so far to suggest that the smashed lines on Sutherland's windscreen prefigure the tentacles of the pods when they are starting to latch onto their human victims. That's a stretch (again, no pun intended) but hey, everything is permitted. Kaufman tells us that in the late 70s the word on some quirky science fiction movie in post-production in Hollywood was very bad. In fact, those developing what would be a low budget movie called Star Trek (Kaufman was on that project for eight months) made a pronouncement... "There's no future in science fiction". That quirky little movie was, of course, Star Wars. There's a touching elegy for his editor Douglas Stewart who insisted that good editing was a craft (I would have liked him a lot). Kaufman himself pops up as an extra both in picture and on the phone. He felt he needed to become a pod to be convincing or as he says, "...proof of my own 'poddiness'" There are so many 'pod' puns in this commentary, I should have made a list. I'm just approaching the dog-horror scene and I'm very keen to hear how this was done and hope Kaufman tells me... For all of my effects magazines collected over the years and all the effects specific books, I have only ever heard details on the opening outer space spawning sequence (one of the Extras on this disc ported from an earlier DVD) and I was so, so curious how this tongue effect was achieved... My fifteen year old memory was clearly not up to the task. Hurrah! Make Up Artist, Tom Burman made the human mask (apparently based on producer Robert Solo). Kaufman acknowledges the tongue effect which I'm sure was just one of those wonderful serendipitous effects. It's a real dog of course. 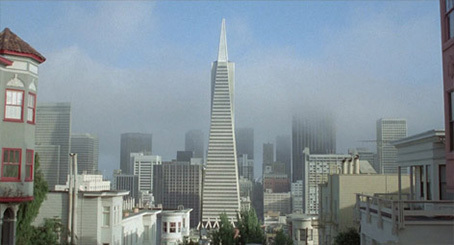 Kaufman acknowledges the hopeful aspect of the wondrous 'Amazing Grace', a tune he heard in a Scottish bar in San Francisco. He vowed to use it... Even played cold with no images as I have just done very, very loudly, makes me well up with emotion. It's a staggering piece of music. Of the prop pods, Kaufman says "I might have a pod or two at home but one of mine is missing... I went to sleep one night and..." This is a terrific commentary and for fans who don't own the 1998 DVD, it's a must have. Striking, loud, brash and brighter than bright and that's just Ms. Insdorf's jacket. It's playing merry hell with the light levels. Is this a game between recent Extras' participants? Who can upset the cameraperson the most? On The Wicker Man it was Ben Wheatley's white shirt but he's toned himself down a bit on this disc (see previous Extra). This is a simple one-person interview intercut from two angles with a few clips from the movie. Director of Undergraduate Film Studies at Columbia University, Anette Insdorf is a terrific interviewee. I would love to have had someone this smart and engaging teaching me film studies. Like most academics, she posits more meaning than perhaps was intended in the film (interviews with Kaufman back that up to a degree) but what is so rewarding about Kaufman's work is, like the Invasion story itself, that it's so open to multiple interpretations. Insdorf is up to finding as many as she can. An extra of this Extra is trying to figure out the titles of the books she's sitting in front of. I loved the insight that Kaufman, in directing the movie, was making a 'humanist cry' (which doesn't mean giving an atheist a Chinese burn). The very idea of a humanist 'anything' will get my vote. Seabrook knows his stuff. This is one long mid-shot interspersed with a few photos and movie posters illustrating the life of the author Jack Finney. It's obviously interesting to any fan of The Body Snatchers' story especially so when you learn that his glorious 'pods' were not intended to be a metaphor for anyone or anything. As Joss Whedon once said "Bring your own subtext." This is a straight biographical entry and despite the bare presentation has its moments of "Oh, I didn't know that..." which is always a plus. It's also a reminder that the novel ends extremely differently to all four movies. There's a reason right there to read the book. 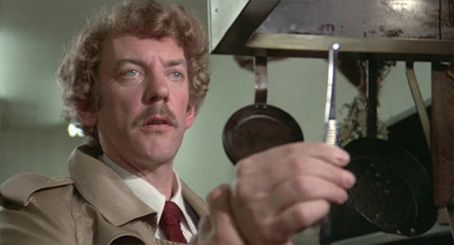 Donald Sutherland, looking splendid with his white mane of hair, has a lot of love for this movie. This is a simple nostalgic overview from the principal creative people of Invasion. It includes W.D. Richter (he changed his surname from Forty because he was tired of being mocked – "No he didn't – Ed.") who is one of the core idiosyncratic film eccentrics on the planet. You've only got to see the movie Buckaroo Banzai to fall in love with his sense of humour and sustained love of playful deception. I suspect the standard definition Extras all came from a previous DVD version of the movie, most likely the 2007 release. Ben Burtt must have a cult following somewhere. Probably the only famous Hollywood soundman, he's justly revered in an area of film production that is criminally uncelebrated with the individual exception of the lightsaber buzz, a must have app for the iPhone. People in the business know how important sound is but it's never shouted from the hilltops. As a filmmaker myself, I know sound to contain at the very least fifty percent of the emotional punch of a movie. As I mentioned earlier, the fact that I could still recall (and do a fair facsimile of) his effects for the pods in this movie, is a testament to the effectiveness of his work. Bonnie Koehler, the supervising sound editor, chips in with her contributions, subtlety to the fore. Any Extra that reveals the extent of the work that goes into making a movie is always a plus for me. And sound and its practitioners are the ironically unsung heroes of post-production. The Invasion Will Be Televised: The Cinematography Pod – cinematographer Michael Chapman (Taxi Driver, Raging Bull) discusses the look of and influences on the visual style of the film (SD – 05' 23"
Michael Chapman (playing the pod janitor in the movie) is justifiably celebrated as one of the very few giants of Hollywood cinematography. I have two words for you; 'Taxi' and 'Driver'. Need I say more? You have Scorsese's classic on your CV and you'll never be out of work. We don't even have to mention Raging Bull. He and Kaufman seemed to work as a single creative entity. Given the relatively low budget, what Chapman achieved on this film is almost rebellious in its practical application. His hand held craft saved days, a skill that dovetailed with Kaufman's desire for long inclusive takes. With 'film noir' as their starting point, Kaufman and Chapman soaked their movie in shadow. There are many shots filmed through glass and often the subject is partially obscured by an object artfully positioned or a shadow that falls that is deliberately left in place rather than corrected for. As the smallest taste of the job of a cinematographer, this one will whet appetites. This is also a port from the 2007 Region 1 DVD. Again, ported from the 2007 Region 1 DVD, this is a neat little explanation of the weird and wonderful Pod Planet that opens the film with Howard Stern, Special Effects, Space Sequence. A lot is made of the lowness of the budget but that creepy extraterrestrial opening above all, works. To find out the 'set' was a mere twenty-eight inches across beggars belief. The only effect in the movie that I wanted information on is not given out here though thankfully Kaufman reveals all in the commentary. How did they train the dog to be (a) comfortable with a prosthetic human mask on its head and (b) how the feck did they get it to lick its human face's lips? The answer to both... It was and it did. Sometimes it's that simple. This one's a solid entry in the trailer game. Amazing Grace gets a work out (three times) and there is a hypnotic "Sleep... Sleep... Sleep!!!" electronically altered voiceover but I do like the tagline, repeated here more than once – "From deep space, the seed is planted. Terror grows." Nice one, Centurion. Cairns charts the cinematic evolution of Finney’s source novel and notes amusingly that Sutherland has the same 'alarming perm' he sported in Roeg's Don't Look Now. I wanted to say something to that effect but felt it was a little rude. There is some repetition in terms of information already gleaned from other aspects of the Extras but this is a lively and entertaining essay on the movie and where it sits today. I appreciated the subtle nod to Lynch's Dune... "The beginning is a very delicate time." There's a fascinating piece of insight from Kaufman at that time that science fiction was supplanting religion as a source of understanding the universe and the application of morality. When my English teacher dismissed Close Encounters with a damning religion-linking metaphor, I was hugely upset (loved the movie, hated religion) but there is an argument there. Kaufman's outsider status, as far as Hollywood was concerned, is neatly demonstrated by his contempt for 'stars' that long to direct and have the power to make that transition without applying an original voice that would set the film apart. Farber touches on the differences Kaufman had with Clint Eastwood on The Outlaw Josey Wales (what I wouldn't give to see a Kaufman version of that wonderful script) and Kaufman is straightforward and seems to bear no grudge. His views on independents and Hollywood are fascinating if only for the time period in which he made them clear, a year after Invasion came out. Kaufman comes across as determined, resolute and highly intelligent. It’s a shame his film-making life was so full of set-backs but by sticking to his guns, he has amassed a modest oeuvre full to the brim of smart, probing and unique cinema. The writer talks about the transition from a small town to a city and how that changed the entire mood of the film. He also remembers fondly the creative atmosphere because he was present on the set and took ideas from actors, intelligent men and women with a sympathetic director at the helm. God, it sounds like heaven. Here you'll find any technical details you may need, the production credits for the disc and the 'Thanks to' list. The stills chosen are uniformly excellent and there are quite a few I haven't seen before (I'm a fan, I should have seen them all!) but it would have been nice to include stills of both director Kaufman and writer Richter for their respective interviews. Otherwise, it's an excellent booklet for an excellent film. A terrific and soon to be (if it's not already) classic movie given the love and attention it no doubt deserves. This is a superb package despite the repetition of Extras from the 1998 and 2007 DVD releases. The HD Extras, though cheap, are revealing and informative. But it's the picture quality that elevates this movie more than others of its kind. So much of Invasion of the Body Snatchers is deliberately shot in shadow and darkness that the movie needs an HD format to truly register. Despite my feelings for the film, the VHS and DVD versions were always hard to read. It feels like this wonderful film has been resurrected from standard definition and now plays to a new audience that can rightly appreciate the work that went into it. If you like your horror subtle, noirish and ghastly, this disc is lovingly recommended.